Born in Vitoria-Gasteiz on August 30, 1980, he moved to Vigo in 1998 to begin his studies in Marine Sciences at the University of Vigo. During the fourth year he visited the Università Ca ‘Foscari in Venice (Italy) with a Socrates-Erasmus scholarship and worked with the Group of Ecology and Animal Biology during the fifth year with a collaboration grant awarded by the Ministry of Education. Finally, he graduated in 2004. While finishing at the university, he combined the end of the studies with the realization of the Graduation Thesis entitled “Copper, Nickel and Vanadium: direct simultaneous determination by voltammetry and measurement of its concentrations in coastal waters affected by the Prestige oil spill” in the Marine Biogeochemisty Group at the Marine Research Institute (IIM-CSIC) that was defended in 2004 at the University of Vigo (Spain). Without a fellowship to the begin of a doctoral thesis he had the opportunity to move to Liverpool with a Marie Curie Fellowship for young researchers and joined the Electrochemistry Group at the University of Liverpool (UK) in January 2005 for a 6 months stay. There, under the supervision of Dr. Van den Berg he learned all the secrets of the electrochemical methods with which he had begun some years before at the IIM-CSIC. 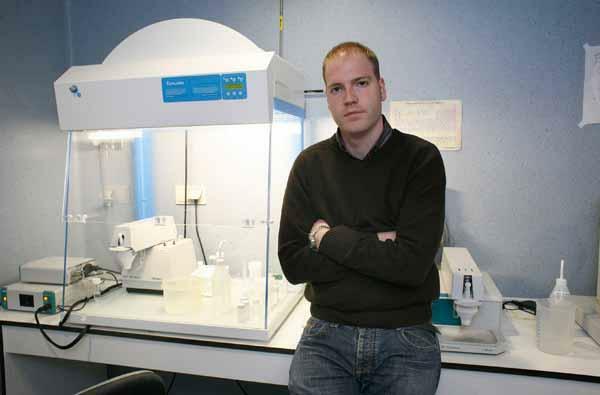 During this period he achieved a predoctoral fellowship awarded by the Basque Government so he returned to Marine Biogeochemistry Group at the IIM-CSIC to start the thesis at the end of 2005. During those four years he made several visits to renowned European groups related to the biogeochemical cycles of trace metals as the group of Speciation and Environmental Analysis at the University of Plymouth (United Kingdom) under the supervision of Dr. Geoff Millward and the Aquatic Environment Unit at the National Institute for Fisheries and Sea Research (INRB / IPIMAR) in Lisbon (Portugal) under the direction of Dr. Carlos Vale during two successive years. He also had the opportunity to participate in an intercalibration cruise for trace metals organized by Dr. Greg Cutter of Old Dominion University (USA) under the famous GEOTRACES program. During the stay in Plymouth, his work focused mainly on the redox processes of trace elements in sediment-water interface while the stay in Lisbon allowed him to begin to know the biogeochemical cycles of metals in salt marsh systems. During the participation in the GEOTRACES intercalibration cruise he had occasion to implement the sampling procedures and handling for trace metals in open-ocean waters. Until this moment he only knew about it from the books. Finally, after four years, he defended his doctoral thesis entitled “Biogeochemical Processes and Speciation of Trace Elements in the Northeastern Atlantic Region” under the supervision of Dr. Cobelo-García and Dr. Prego obtaining the degree of European Doctor at the University of Vigo in October 2009. Just after the thesis and the prospect that the resolution of postdoctoral fellowships would not be effective until the end of the year, he got a fellowship from the COST ACTION within the Geotraces program for a 2 months stay in the Marine Environmental Sciences Laboratory (LEMAR) at the University of Western Brittany (UBO) in Brest (France) under the supervision of Dr. Geraldine Sarthou. There he was trained in the flow injection technique with chemiluminescence detection (FIA-CL) for the measurement of extremely low concentrations of iron in ocean waters. 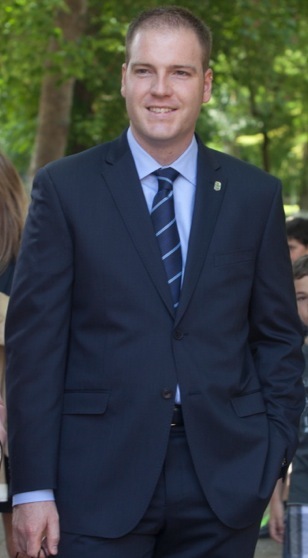 In January 2010 after being awarded a postdoctoral contract from the Basque Government he moved to Lisbon where he began a two years research period under the project entitled: “Influence of marsh-derived organic matter on the biogeochemical cycle of trace metals in estuarine waters” which would bring together the experience of organic speciation of trace metals in the University of Liverpool with the knowledge on salt marsh and estuarine processes he learned during his doctoral thesis in Vigo and the stays at INRB / IPIMAR in Lisbon. Dr. Juan Santos Echeandía has been invited to participate in an oceanographic campaign in Antarctica that will take place in January 2012 and which will last two months aboard the R/V Polarstern. The campaign is by the Alfred Wegener Institute (AWI). Joining the campaign will be after signing a 3 year contract (Jae-Doc) back in the Marine Biogeochemistry Group at the (IIM-CSIC).